IT budget planning is in full swing as the New Year kicks off. And if you’ve yet to establish or refine your organization’s DevOps processes with additional software tools—to secure and monitor app development, leading IT pros indicate the time for that transition is today. In this expert guide, learn how to implement a collaborative, lightweight ITIL approach in your infrastructure, and adapt ITIL to suit your goals and priorities by unifying ITSM and DevOps under one framework. 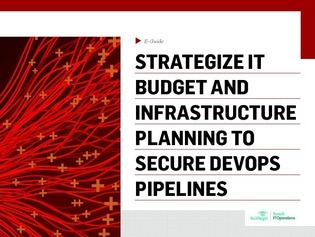 Access now to keep a close eye on DevOps pipelines by strategizing your budget to secure and monitor container and consolidation initiatives, and more.